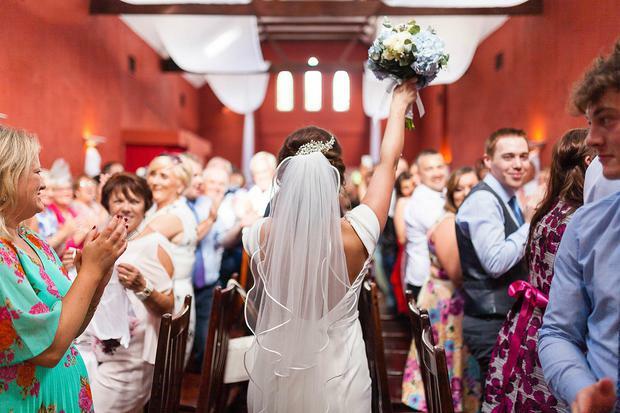 If you want to know anything about Irish weddings, ask a photographer. The get the shots, and they get the goss. Like camera wielding ninjas they look on from the shadows, documenting the day and capturing fleeting moments to be passed on to the next generation. It makes sense, then, that these guys are brimming with some of the best advice in the business, and not just about how to look good on front of the lens (although those tips are whole-heartedly welcome too of course) but about getting your timings right, why to think twice before choosing your bridesmaids, and how to make sure everyone finds the venue - without annoying you with phonecalls the week before (SO important). One photographer, Dublin's Katie Kavanagh, has decided since she hit her 100 wedding mark to lay out all the things she's learned about weddings in the hopes that it'll help couples find their way from the invites through to the dancefloor - and her refreshingly honest tips and tricks are exactly what you need to get your button holes in order. You'll find 20 of Katie's top tips below - but make sure you head over to katiekav.com for the full fifty! Stand up straight and stick out your chin in the ceremony, like your mammy told you to. Coloured up-lighters at dinner are a nightmare for photographers, especially purple ones, and blue ones and… just stick to the daylight setting! Try not to sing along to your first dance, you’ll make some funny faces, unless it’s a banger, then shout as loud as you can! Get a videographer - a nice one! If a tradition doesn’t feel right, ditch it! Wedding dilemma: How do I get my fiancé to change his choice of best man? Wedding dilemma: How do I stop somebody giving a speech at my reception? Weddings 101: What's a bridal trunk show?